Should I Respond to Someone Without a Photo? I met this guy online before the holidays and he seemed interested in me. The conversation pleasant enough, but I’m a little creeped out about his recent message. In this most recent one, he asked me, Have you been single long? What kind of men are you typically interested in?” He also never put up a photo of himself. I’ve been single for longer than I really want to mention and I don’t really have a type, but I don’t want anyone super unattractive or unhealthy. It’s great that you’re communicating with someone online. When a guy posts a profile without a photo, he doesn’t really have all ten toes in. While you’re concerned about how to respond to him, you actually don’t need to respond to him at all. The questions he’s asked of you are generic questions. Sometimes guys just don’t know what to ask and are trying their best to open a digital dialog. You don’t have to say how long you’ve been single to someone you’ve never met. It doesn’t matter if it’s been 3 months or 3 years. He’s single, you’re single and you’re both on a dating site. If you feel uncomfortable, just don’t reply. If you’re still interested in getting to know him, ask him if he can post his photos so you can see who you are chatting with. If he isn’t willing to do so, he just isn’t date ready. There are plenty of guys who are genuine and will post recent photos. Take your time and put your energies into a relationship that has the potential of turning into a pleasant date. Julie Spira is a top online dating expert and bestselling author of The Perils of Cyber-Dating: Confessions of a Hopeful Romantic Looking for Love Online. 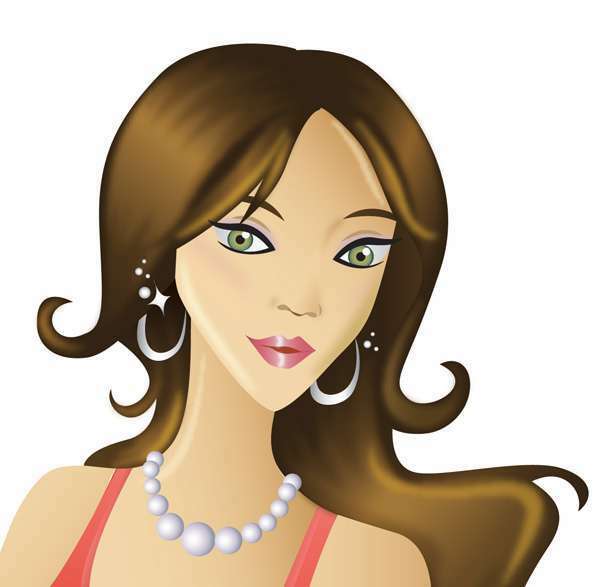 She creates irresistible dating profiles for singles on the dating scene. Julie’s dating advice has appeared on eHarmony, JDate, Match.com, Zoosk, and on her columns on DatingAdvice.com, Examiner, and Huffington Post. Follow @JulieSpira on Twitter, sign up for the free Weekly Flirt, and like her at Facebook.com/CyberDatingExpert. Dating Advice – How Do I Know if He Likes Me? This scene may sound familiar. You meet a guy and have an instant connection. You start flirting back and forth and the next thing you know, you?re wondering, Are we in a relationship? Are the feelings mutual? When Deb wrote to me with this familiar scenario after sending multiple flirty text messages to each the new man she had a crush on, she was concerned that things were moving too quickly. Was she becoming too attached? Deb now wonders if her new guy is a player as he was also flirting with other women. She became anxious about the situation. Now her dream guy is sending her emails and text messages saying that he loves her. Even more confused, she called him out on his flirtatious behavior, of which he replied, ?I get it.? Should she move forward with this guy? What should she do? Well Deb, some people are born flirts. Instant chemistry is rare and when we find it, we automatically fast-forward our feelings and start thinking about our relationship, our future, marriage, children, the works. But slow down Deb. Why is this guy who?s texting you with love notes flirting with others in the same sentence as he uses the ?L? word so freely. Just how many other women does he say that to? Is he waiting to hear it back to feed his ego or is he sincere? A man who is committed to being in a relationship with you isn?t going to screw it up by making you jealous and putting himself in the position of being discarded, with his phone number permanently deleted on your iPhone and in your heart. What should you do? Play the field. Yes. There?s no ring on your finger, and hopefully you haven?t been intimate yet. Don?t confuse love with lust. While your emotions and hormones are running at high speed, you don?t know his intentions other than he?s that instant chemistry guy, which can be dangerous. I know this first hand, as I wrote about it in my book The Perils of Cyber-Dating, when I too, had that instant chemistry with a guy I met. It turned out that he was a major player, and just like the Fleetwood Mac song, Dreams, I’ll hum the line, ?Players on love you when they?re playing.? It?s a game that can leave you feeling empty and alone. My advice is simply, to take it slow. Date other men. Don?t sleep with this chemistry guy. Have fun flirting here and there, but don?t assume you?re in a relationship. Some relationships that start off hot-and-heavy, end just as quickly. Hopefully your guy is different. Perhaps he?s just nervous. Texting can?t replace quality time in person. Take a look at my latest YourTango Experts video, where I address the texting issue in a relationship. Time will tell if your guy is for real and time is a precious gift. Do you have a question for Julie Spira? Send your dating and relationship questions to CyberDatingExpert.com/contact?and sign up for our Weekly Flirt. Julie Spira is an online dating expert and bestselling author of The Perils of Cyber-Dating: Confessions of a Hopeful Romantic Looking for Love Online. Follow her @JulieSpira on Twitter for dating advice and at Facebook.com/CyberDatingExpert. ? It was a pleasure attending the 8th Annual Internet Dating Conference in Miami again, where I had the honor to speak on Web Dating 2.0: Using Social Media to Create Brand Loyalty on January 20, 2011. Several hundred people attended the session on day 2 of the 3-day conference. In my presentation, I shared the exciting news that both Zoosk Mobile and SpeedDate Mobile apps have each had more than 2 million downloads.? OkCupid’s mobile app has over 1 million mobile users. eHarmony says their mobile apps account for approximately 20% of global site visits. Consumers now look at eHarmony profiles more than 16,000 times per hour while using mobile devices.? Their mobile app was launched in August, 2009 in conjunction with their 10th anniversary. Match says mobile users are twice as engaged as those who log onto the site on their desktop, so we are definitely going mobile. We learned from Online Personals Watch Publisher Mark Brooks that online dating hit a record high in December 2010 with 116 million members worldwide visiting online dating sites. Over 20 million visits were from U.S. members. The folks from Google shared that 35 hours of video content is uploaded on YouTube every minute of the day. Online dating is a 1.3 billion dollar industry now according to Jupiter Research. One of the highlights of the conference was the 2nd annual iDate Awards. This year OkCupid won 4 iDate Awards including Best Dating Site, Best Dating Site Design, Most Innovative Company, and Best Up and Coming Dating Site. Congratulations to OkCupid for winning in every category that they were nominated in and matching the number of Golden Globe Awards received as The Social Network film. 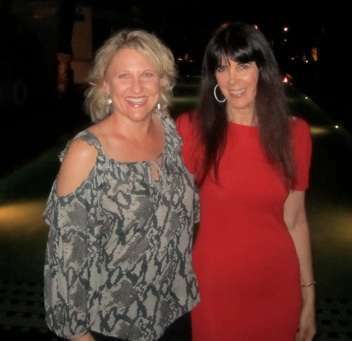 My friend Julie Ferman won the Best Matchmaker Award for the second year in a row and it was certainly well deserved. It was terrific spending time with Sherri Langburt from Single Edition, Ravit Abelman from Omnidate,? Julie Ferman from Cupid’s Coach, and eLove’s Paul Falzone while catching up with Sam Yagan from OkCupid and Kate Billenki from Plenty of Fish. All have been featured guests on Ask the Cyber-Dating Expert Radio Show. Dating blogger Simone Grant came to iDate for her first time and we brainstormed about dating, blogging, and social media. The conference ended with the Final Panel Debate curated by Marc Lesnick, Conference Organizer and included Mark McMaster from Google, Mark Brooks from Online Personals Watch, Michael McQuown from Thunder Road, Jonathan Crutchley from Manhunt, Mark Harrison from Dating Factory, Joel Simkhal from Grindr, Markus Frind from Plenty of Fish, Sam Yagan from OkCupid, Ty from Elite Global Dating and Dan Winchester from FreeDating.co.uk. At the end of the annual end of conference panel, the majority of the panelists felt that online dating would continue to grow in 2011. The hot topic this year was Free versus Paid online dating sites. Free sites have been rising in popularity and have made a small dent in the paid online dating services. Compared to the cost of high-end matchmakers, paid online dating sites are still a bargain.